Klubstandarden inden for DJ mixere - det er uden tvivl den innovative DJM-900 NXS2 mixer. Mixeren har mange indbyggede effekter, er kompatibel med Pioneer Rekordbox og Serato ready, så hvad kan man forlange mere af en DJ mixer ? - 900/2000 samt Rekordbox software. Med Pioneer DJM-900 NXS2 mixeren kombineret med den - eller rettere flere fantastiske DJ afspillere af modellen Pioneer CDJ-2000 NXS2 har du en DJ pult der rigtig rykker. Take your performance to new heights with the Pioneer DJM-900NXS2, which features our first ever 64-bit mixing processor for a warmer, more nuanced sound. We?ve fine-tuned the EQ and fader curves and enhanced the FX controls to give you even more creative choice. 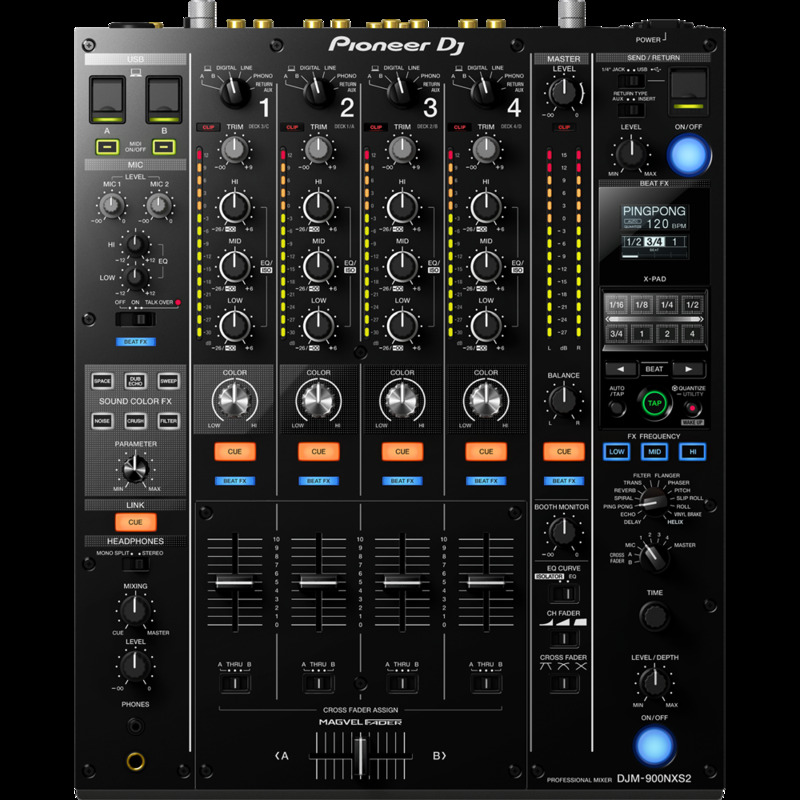 Plus the versatile DJM-900NXS2 has an independent Send/Return, 4 phono inputs and 2 USB ports ? giving you flexibility to set it up your way. A built-in USB sound card in the Pioneer DJM-900 NXS2 mixer allows simultaneous input/output of stereo signals from 4 ins and 5 outs, while 96 kHz/24-bit high-sampling processing ensures the audio quality. Connect the unit to your laptop or computer via USB and the settings utility tool will automatically open, allowing you to configure the mixer, sound card and audio routing to suit your preferences.